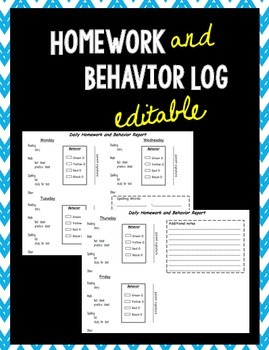 Make student organizing of their classroom homework and behavior logs easier. Students can log their color coded card behavior as well as fill in the daily homework assignments. Parent signature line included next to each day of the week. If there is a small mistake on an item, or you have suggestions/constructive criticism, please let me know under the Q and A section before leaving negative feedback. Please give me a chance to fix it and improve my product. Thanks!